Been holding off on mentioning this because I wasn’t sure how “official” it was, but we’re talking business stuff now so I guess it’s a done deal. 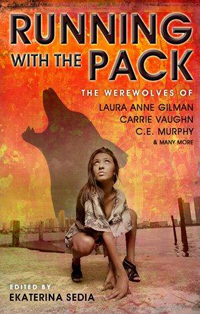 My fantasy/erotica/fairy tale deconstructionist short story “Red Riding-Hood’s Child” is going to appear as a reprint in Running With the Pack, a forthcoming anthology of werewolf fiction due out in May from Prime Books. It’s got some serious big names attached to it, and is edited by World Fantasy Award-winning editor Ekaterina Sedia. I’m super-excited that my little story is going to be in such big company. Preorders available on Amazon now! It was nice seeing you in the ToC, too! Yeah, I was surprised; though you only wrote hard SF. Or is this a hard-SF werewolf story? Oooh, I’m already interested if so!